1 What are Cultural Settlements? 1.1 How do I access Cultural Settlements? 1.2 Which Cultural Settlements are available? How do I access Cultural Settlements? 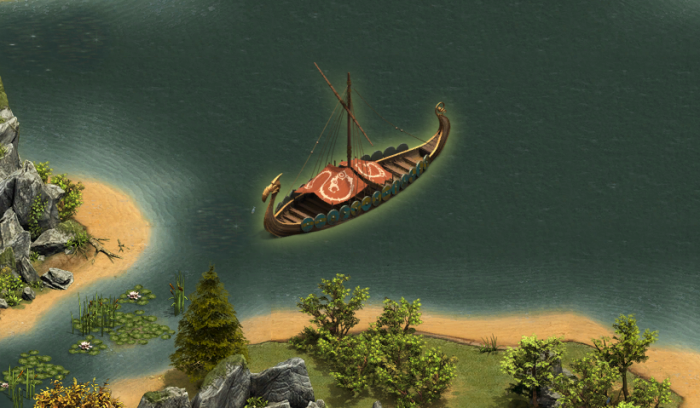 Once your boat arrives at it's destination, you will be presented with a whole new map specific to the Cultural Settlement! It's important to note that, unlike regular expansions, with each play through all expansions from the Settlement, including those purchased with Diamonds, are reset. Note: Expansions within your main city remain unaffected. Each different culture has it's own unique goods which are used as currency when building up a settlement. These goods are used to unlock new buildings and expansions. You can find a full list of a culture's goods on it's own page below. Which Cultural Settlements are available? 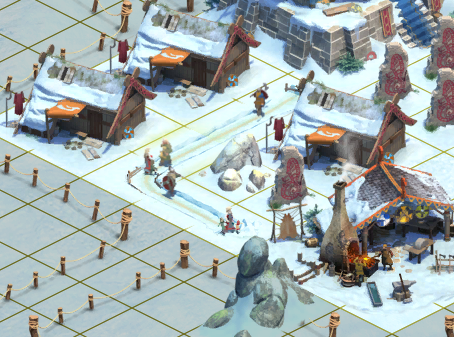 With the start of each new Settlement, the Impediments will be rearranged in your city. Playing through the Cultural Settlements offers you the opportunity to obtain some fantastic rewards. Not only will each individual quest offer their own rewards, but you also receive some awesome bonus items for completing the settlement in it's entirety. Each different culture offers it's own unique rewards themed around the culture you receive them from. Check out the details of each culture in the table above to find out what's on offer for each culture! Sometimes when completing a Cultural Settlement, you will unlock Emissaries. Emissaries are honored guests from your settlement, who take up residence in your main city's Town Hall. 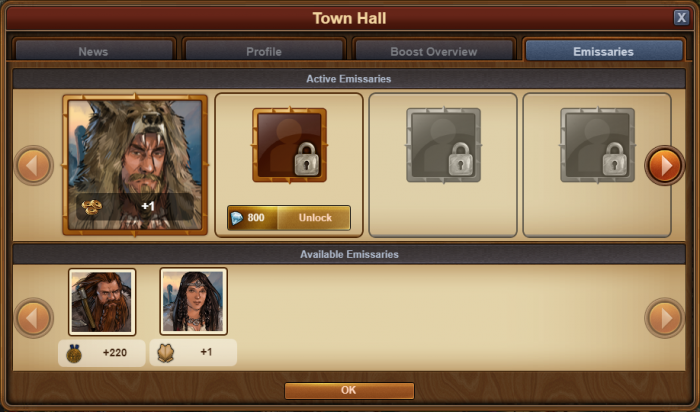 When they are assigned to your Town Hall, they will to grant special bonuses. These bonuses are granted every day, when you collect from your Town Hall. Each Emissary gives a different bonus. In the example below, you can see that Emissaries give you rewards such as Forge Points, Medals, or even a unit from your current era! Upon unlocking your first Emissary, you also unlock your first Emissary slot. 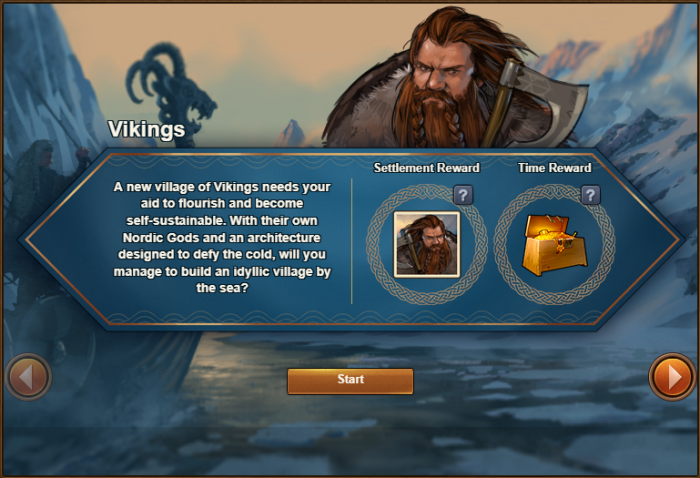 More slots will become available as you complete more rounds of the Viking Cultural Settlements, but you can also purchase new slots with Diamonds if you want to! Not every new Emissary unlocked will also unlock a slot, so choose wisely! This page was last modified on 18 April 2019, at 14:59.